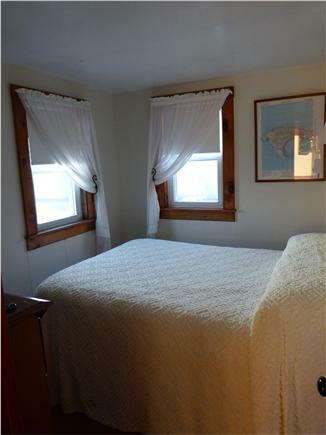 This adorable 2 bedroom cottage is located directly on the beach overlooking Cape Cod Bay. 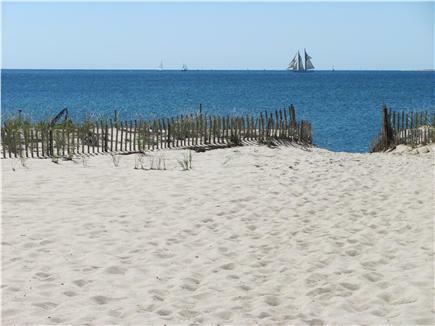 Swim, sunbathe, and explore the shore right outside your door! This little cottage can sleep 4 people in 2 bedrooms, each with a double bed. 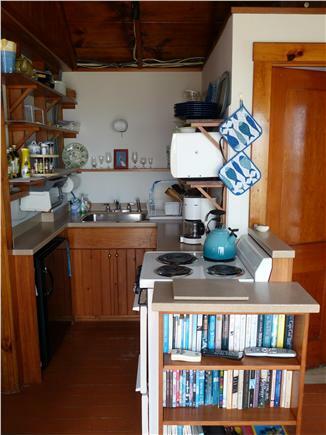 There is a bathroom with shower, a galley kitchen, and a small living/dining area. There is also a picnic table in front of the cottage for outdoor dining. 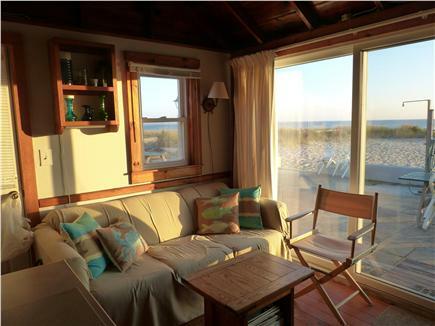 The living area and front bedroom both have a full view of the beach and the bay. 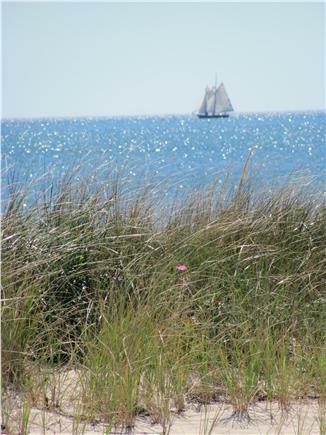 Conveniently located one mile from the Provincetown border, the cottage provides a perfect base for exploring the National Seashore, the Truro town beaches, and the unique shops, restaurants and clubs in Provincetown. You can catch the shuttle bus on the road near the cottage if you want to explore without your car. Other amenities inside the cottage include cable TV and Internet, and there are coin operated washer and dryer, clothes line, BBQ grill, and a bike rack on site. Additional pricing info: Applicable taxes are included in the weekly rental rate. State and local taxes of 12.45% will apply. We wanted to tell you how much we enjoyed ourselves at your cottage. While everybody else was sweltering from the heat and humidity, we had constant natural AC, whether on the beach or in the cottage. We loved it. Please pencil us in for the same week In 2019? The neighbors are fantastic and very personable. Thanks again. 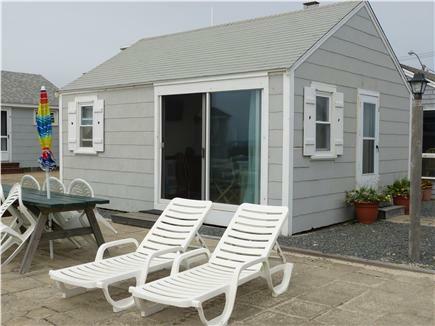 Perfect little cottage in a great location! Although this cottage is compact, it has everything you might need. 2 separate bedrooms with windows. Nice little friendly neighborhood of cottages on the beach. Quick ride into P-Town on the shuttle bus. Went with a friend from college days and we had a great time. We will definitely return!!! Smooth communication with Nicola.